McALLEN — Eight years ago, Yaritza Almaguer, Rio Grande City central checkout specialist, began her journey with H-E-B as a bagger. These days her tasks center around community outreach, and it’s her dedication to going “above and beyond” that led her to be recognized alongside a bevy of women Thursday for H-E-B’s 18th annual Women of Distinction ceremony. During the event, 33 female partners — one per each store across the upper and lower Rio Grande Valley between Rio Grande City and Raymondville — received a special pin to add to their name badge as a token of appreciation for their service and dedication. These individuals were selected based upon the number of ballots received over a three-week nomination process. Those chosen were invited to a luncheon at the McAllen Country Club on Thursday with the unit director for their store. 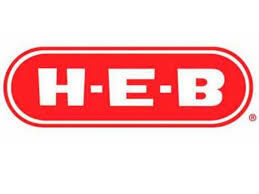 Inspired by “women of power” working at her store, she decided to foster her career with H-E-B. “I hope I’m doing the same for my partners — empowering them and growing together” she said. Volunteer work is another weighted factor of the nominations, as well as “overall customer service,” said Rio Grande City Assistant Store Director Patty Serna. In her two-plus decades, Serna has noticed the percentage of women in leadership positions in the grocery chain increase. “H-E-B does an excellent job at providing programs to encourage female leaders to move forward,” she said. Such has been the case for Maria Alejandra “Alex,” Dianas who has celebrated 15 years with the company between Mission and McAllen locations. Working part-time as a cashier was how she got her start; before becoming an administrative assistant she moved around in several departments, climbing the ladder of esteemed positions. This was Dianas’ fourth year being recognized. Building relationships has been one of her favorite parts of her career, which has come naturally through serving in annual events H-E-B participates in, such as the Special Olympics and Feast of Sharing. Since the event’s launch, more than 4,000 women from all throughout the state of Texas have been honored.